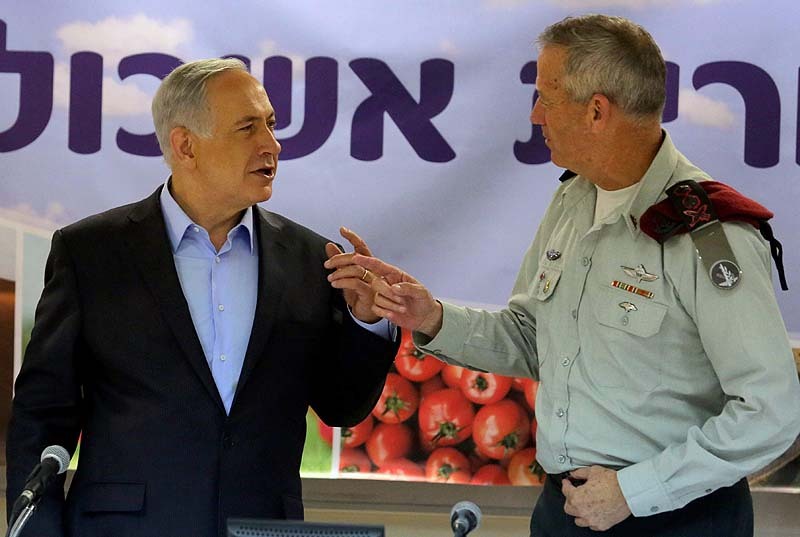 Prime Minister Benjamin Netanyahu and IDF Chief of Staff Benny Gantz, Sept. 22, 2014. A poll conducted at the beginning of the week, held after several religious and right-wing parties joined into a block and after Benny Gantz’s Israel Resilience and Yair Lapid’s Yesh Atid merged into the Blue and White party, shows that Gantz is unlikely to be Israel’s next prime minister. 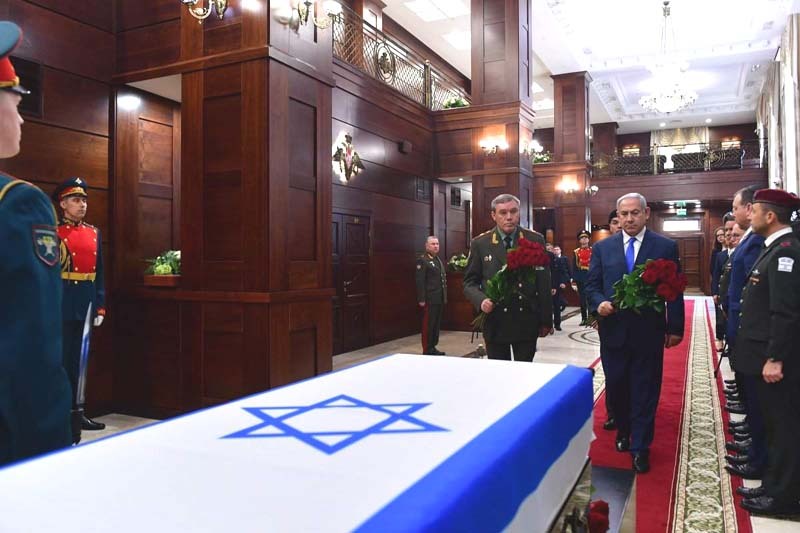 A jointly commissioned i24NEWS-Israel Hayom poll published on Sunday shows that Blue and White would receive 36 seats,which would likely make it the largest party in the Knesset, while Prime Minister Benjamin Netanyahu’s Likud party would get 31 seats. However, Netanyahu would be able to form a 62 seat coalition with the religious and right-wing parties, and Gantz can’t. Lapid and the Arab parties have already expressed their mutual rejection of sitting with one other in a coalition. While the two Ultra-Orthodox parties have declared they would not sit in a government together with Lapid, due to his anti-religious policies. The party that forms the government is determined by the recommendations of each of the elected parties. The party to receive the most recommendations forms the government– not necessarily the party that gets the most votes. Netanyahu is projected to receive the most recommendations. The Ultra-Orthodox parties United Torah Judaism (UTJ) and Shas received each seven seats in the poll, Naftali Bennett’s New Right got nine seats and the Jewish Home’s joint list received eight seats. All of these parties are expected to recommend Netanyahu as Israel’s next prime minister. The Arab parties Ta’al and Hadash received seven seats, Labor was given eight mandates, and the extreme left-wing Meretz got seven seats. Avigdor Liberman’s Yisrael Beitenu and Moshe Kahlon’s Kulanau won’t pass the threshold, according to the poll. Both served as ministers in the current government. Moshe Feiglin’s Zehut doesn’t pass the threshold in this latest poll either.